When: Thu., April 25, 10 a.m.-3 p.m. 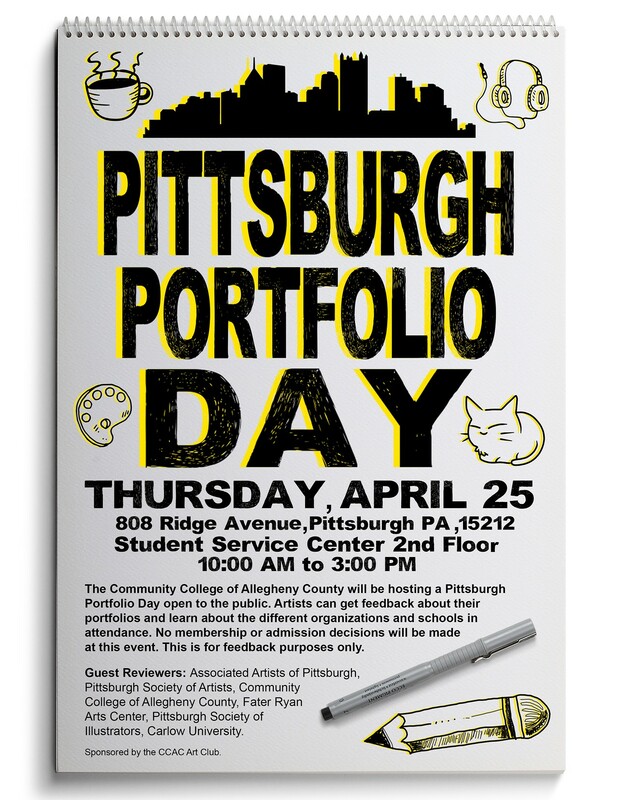 The Community College of Allegheny county along with the CCAC Art Club, will be hosting a Pittsburgh portfolio day open to the public. 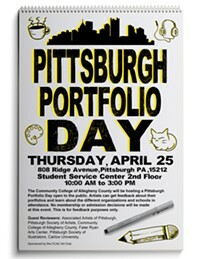 ANYONE can stop by and get there art portfolios reviewed and given valuable feed back on their art by people who are established artist, part of the art organizations here in Pittsburgh, and art professors who have extensive knowledge and experience within the arts inside and outside of the Pittsburgh arts community. this also a great time to learn about the different art organizations and schools that will be attending. IMPORTANT: No admissions or membership acceptations.